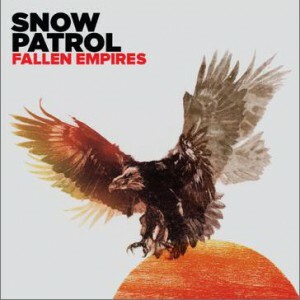 Fallen Empires is the sixth studio album from Snow Patrol, a band who have sold over 11 million albums and been responsible for some of the most instantly recognisable songs in the past decade, including "Run", "Chocolate" and "Chasing Cars". 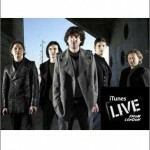 Former albums have been nominated for the Mercury Music Prize, Grammys and MTV Europe Music Awards, with Final Straw landing the band an Ivor Novello Award in 2005. The album was recorded in the iconic The Joshua Tree National Park in south-eastern California. In October 2010, the band drove out into the desert with their guitars and one or two rough song ideas. A week later, their writing session at Rancho De La Luna Studios had laid the foundations of the tracks that would comprise Fallen Empires. 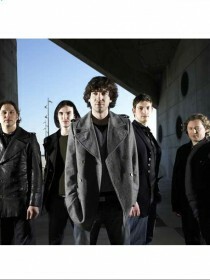 Over several months, the five piece--singer Gary Lightbody, guitarist Nathan Connolly, bassist Paul Wilson, drummer Jonny Quinn and keyboardist, Tom Simpson--began a musical road trip around California. They recorded tracks at Eagles Watch, a topsy turvy house in Santa Monica with widescreen windows and panoramic views of the Pacific Ocean. Backing vocals were drawn from the LA Inner City Mass Gospel Choir in Compton, south central LA. Later, tracks were mixed at the studio owned by longterm collaborator, Garret "Jacknife" Lee--a hacienda tucked away in Topanga Canyon, the one time hippy commune and former home to Neil Young and Woody Guthrie. Along the way, R.E.M. 's Michael Stipe, US singer Lissie and Queens Of The Stone Age guitarist, Troy Van Leeuwen all popped by to lend a guitar part here, a lyric idea there. Meanwhile, Snow Patrol's new adventures seeped into every note on Fallen Empires. The result is an album that promises to redefine the band as an altogether more ambitious, more expansive, creative force.